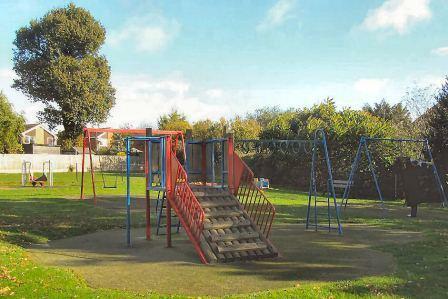 To see a map showing the locations of these playgrounds, please click here. fenced playground with two separate access gates. The area itself is accessed via a gate in Damson Way. Damson Way is a turning off Sandpit Lane, not far from the traffic lights at the cross roads in Marshalswick. 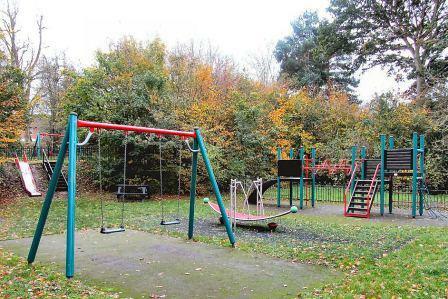 The play areas are suitable for children up to about 12 years old and have seating and a picnic table for adults. The bottom level is low lying and can get wet under foot after heavy rain, especially in the winter. 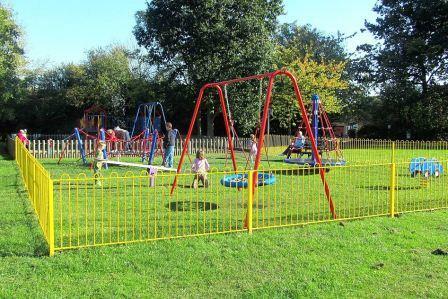 This is our newest fenced playground which is situated in a large green area in Jersey Farm. It is suitable for children up to about 12 years old. It can be accessed via the right hand end of Harness Way which is a turning off Villiers Crescent. This is different from our other play areas in that it is designed to be used by young people from the age of about 11 upwards. It is in a large fenced area at the back of Jersey Farm and contains seating for adults. It is inside a large green area where people can picnic or play cricket in the summer. The whole area can be accessed from near the shops in Sandringham Crescent. Take the footpath leading through Craiglands until you come to Richmond Walk. Then turn left and walk to the next corner where you will see the whole area to your right. Richmond Walk is a footpath. There is no car access to these areas. Situated in Sherwood Avenue not far from the Quadrant shops. It is served by a car park. 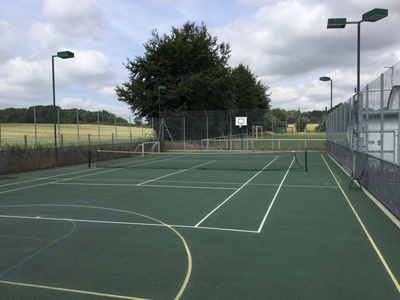 A “free to use” multi games court for 5 a side football, basketball or netball. Various picnic tables and benches. In addition there is a Sure Start Centre run by Hertfordshire County Council. As of Summer 2013, a new adult/play gym has been installed which is free for all to use! This is not far from St Leonard’s Church in Sandridge Village. 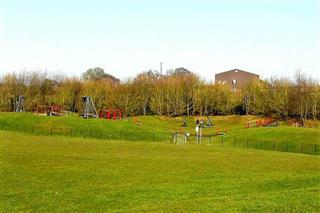 It is a fenced playground for children up to about 12 years old at one end of a large open green space. The easiest access by car is to park in House Lane by the gate which gives access to the Cemetery. Walk through the Cemetery and having passed through another gate you will come to the playground. Alternative access is via the road near St Leonard’s Church and a walk across the green area. This is situated at one end of a large area of grass. It is suitable for children up to about 12 years old and has seating for adults. There are also 2 football posts for communal use. It can be accessed via a gate in Furse Road. This is a turning off Simmons Drive which in turn is a turning off the Ridgeway. 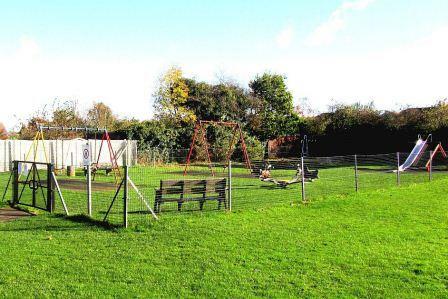 The playground can also be accessed on foot via the path way from the Ridgeway and a short walk across the grass area. If you are a fan of Tennis, Basketball or Netball, then the Spencer Meadows sports ground is the place for you! Spencer Meadows offers two high standard hard sports courts and is located just off the High Street in Sandridge Village. Other facilities include flood lighting (£5 per hour) and free parking. The courts are fantastically priced at £5 per hour for tennis and £10 per hour for team games. To book one of the courts, please contact the Village Stores in Sandridge on 01727 854711. The courts are not allowed to be booked by those under 16 without adult supervision.